One of the three Second Lieutenants assigned in the Ministry of Spirit Affairs is the youngest Second Lieutenant in the history of the Imperial Army. He is paired with the hanyuu twins, Bonbori and Hoozuki. 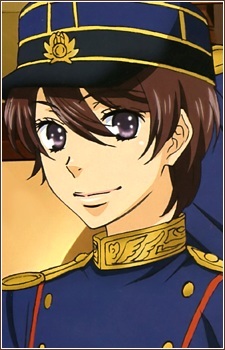 He is young, smart and has the world of confidence that he will be the youngest General in the history of the Imperial Army. The twins are always all over him and which makes him blush from time to time. Though the twins hold him as someone very special who is one of the very few that can identify them as individuals.